The Minuteman Entrepid Series is a compact line interactive tower with an informative LCD display. 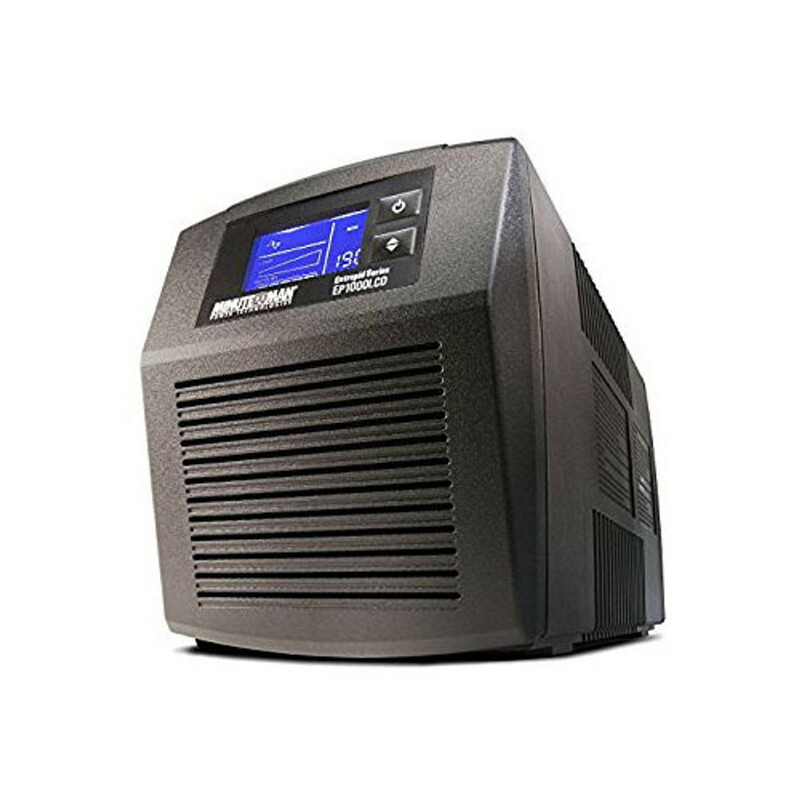 Ideal for where space is tight, this compact UPS is typically used in conjuction with phone systems, network closets, security devices, POS systems, and more. The Minuteman Entrepid Line Interactive Tower UPS features automatic voltage regulation for longer battery life and an informative LCD display which reports in real-time. This unit offers six battery/surge outlets along with two surge-only outlets. Designed for tight spaces, this compact UPS is ideal for small phone systems, network closets, security equipment, and work stations.